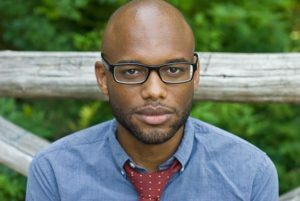 I interview Mychal Denzel Smith about his new book Invisible Man, Got the Whole World Watching. Smith is a Knobler Fellow at The Nation Institute and a contributing writer for The Nation magazine. He has also written for The New York Times, The Atlantic, Salon, Feministing.com, The Guardian, The Root, theGriot, ThinkProgress, and The Huffington Post, and he has been a featured commentator on NPR, BBC radio, CNN, MSNBC, Al Jazeera America, HuffPost Live, and a number of other radio and television programs.